Italian for “my lady” Madonna® is a woman for every occasion who ensures that you are always in good company. Fresh pepper with young red berries on the nose with smooth plum flavours sensually enchanting your palate ensuring a voluptuous finish. Plush plum, voluptuous mulberry, roasted coffee and decadent cocoa tones on the nose with a sensually captivating body on the palate. on the nose with a sensually captivating body on the palate. 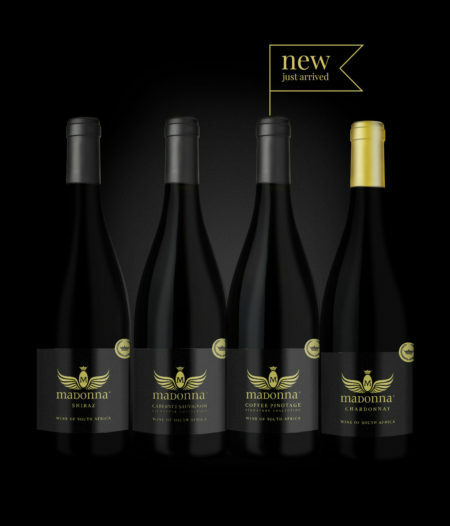 A lighter Shiraz with ripe cherry, strawberry and plum tones on the nose with rich spicy flavours sensually enchanting your palate. Chic tannins ensure a smooth and lingering voluptuous finish.